I was so thrilled and honored that Rebecca asked me to be a part of her book launch party. If you don't know Rebecca, she is the author behind Simple As That. She is seriously talented. I look up to her photography and craftiness. About Rebecca | A professional photographer and mother of four children, I make my home in Alberta, Canada. 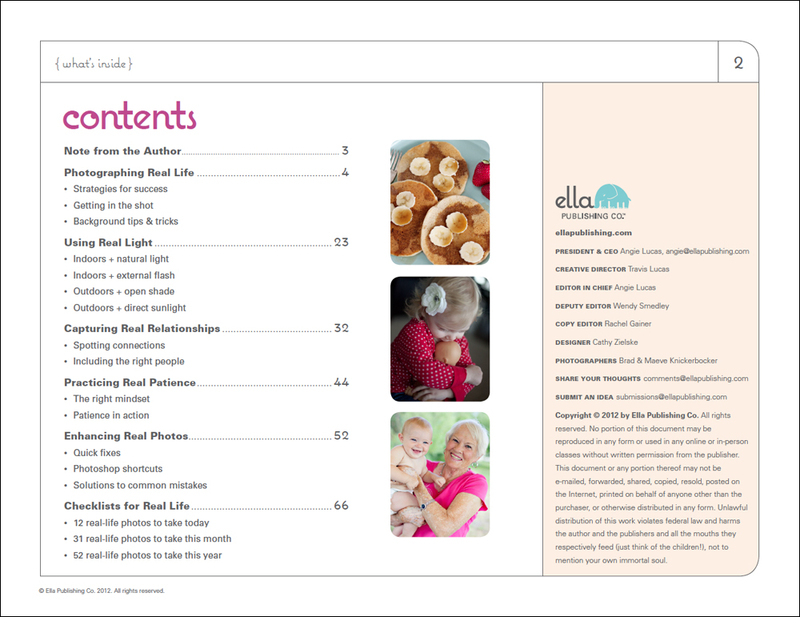 I'm the author of two previous photography eBooks, 40 Top Tips for Better Photos and Don't Say Cheese!, both published through Ella Publishing Co., as well as a scrapbooking inspiration book, Real.Life.Scrapbooking., published in 2008. About Real.Life.Photography I believe strongly in encouraging women to take more photos of everyday moments—it's my absolute favorite part of photography! 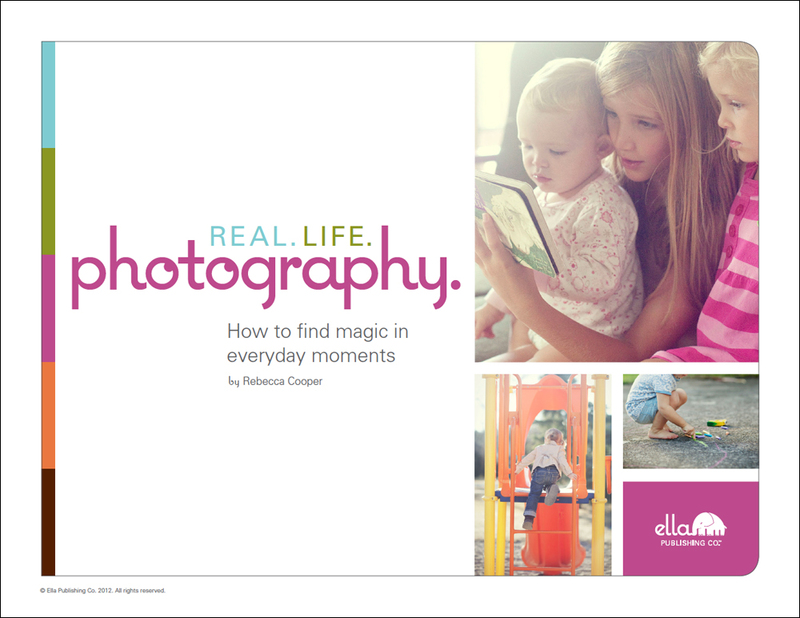 I started working on this 68-page, professionally designed and edited eBook more than a year ago. I spent months carefully assembling my best tips and tricks, gathering 127 real-life photos, and writing hundreds of useful photography tips. My goal is to inspire women everywhere to pick up their cameras more often and to be happier with the photos they take. I loved everything about this book. It was set up so easy to read and follow. I loved how she shared her settings for every photo and what lens she used. I have really wanted to learn to take more natural photos of my kids doing what they do. This is the perfect book for me. It inspired me in taking these photos with Dustyn. I really hope to do more with them in the future. If you are looking for an easy to read book with lots of awesome tips check it out. Just like shooting kids in AV mode instead of all manual. It makes perfect sense, but I never thought of it! She really jammed this full of tips, tricks, and techniques. She even talks a little bit about editing. 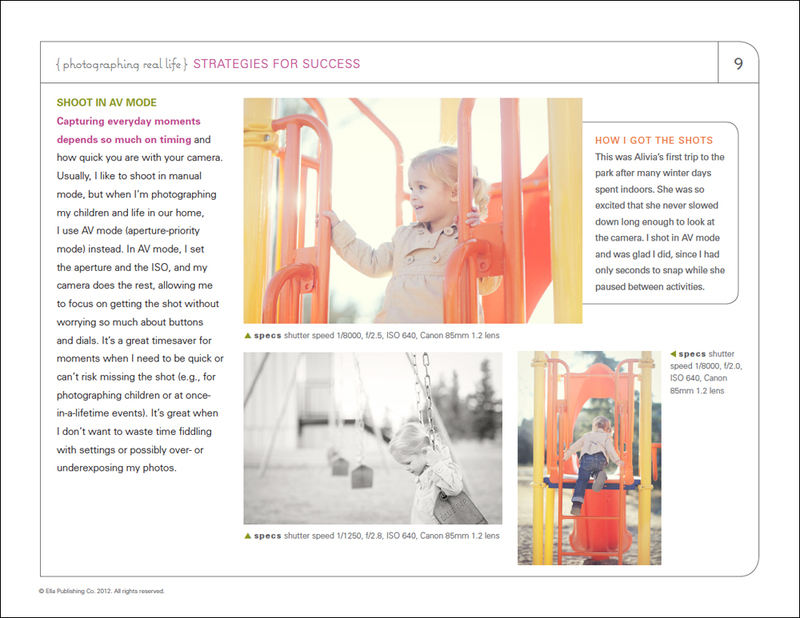 Christy from Addy Lane created a Simple Fixes Action Set that go perfect with Rebecca's ebook. Here is an edit of a photo of Carsyn side by side. I didn't do anything else to it besides using the Simple Fixes Action Set. I used Goodbye Red Skin, Simply Lighten and Simply Boost. I love how easy and fast they were to use. I will be using them in the future. You can purchase the ebook or the action set for the introductory price of $9.99 each (the regular price will be $12.99). If you purchase both the book and the actions together, you can take 20% off with the promo code PHOTOFIX. You can enter to win a copy of the ebook and the action set below in Rafflecopter. I've been following Rebecca for a while now and absolutely love her photography. I'd love to win the book to get new ideas and learning techniques. I'd love to photograph my family this summer at our San Francisco trip. The book will definitely come in handy. I love photography and everything about it. Thanks for the chance to win it. I just love Rebecca! Bought the book & the actions the day they released. Not only love them but love supporting my dear friend too.